When considering which camera you should buy, you may receive this piece of advice from friends and family: Look at the camera's specifications list. But unless you can decipher the tech-speak that's found in the list, you won't be able to comprehend what camera specs matter. Taking the time to fully understand what you're reading will definitely help you find the best camera for your needs. What you may find by learning about your camera's specifications is that troubleshooting and fixing a perceived problem with your camera is as simple as knowing exactly what your camera can and cannot do. One way to know ahead of time about your camera's strengths and weaknesses is to closely read through the camera's specification list as you begin using the camera. Use these tips to figure out which specifications are the most important for you to know to give you the most enjoyment with your camera. The number of effective pixels determines the resolution of your camera. (A megapixel is equal to a million pixels.) Cameras with more megapixels can create larger prints than those with fewer megapixels, assuming the exposure and focus are good. So, if your camera isn't creating sharp, large prints, check the number of effective pixels it has. Beyond still image resolution, you should see resolution provided for video recording options within the camera's specification list. While most modern digital cameras can shoot full HD video, it may be helpful to know which non-HD video recording options are available with your camera, so you can shoot low-resolution video for sharing via social media. The LCD monitor resolution refers to the number of dots, or pixels, the LCD contains. LCDs with more dots are going to produce much sharper images than those with fewer dots. Image area and ratio refer to the measurements of the photos the camera can create. If the camera's specifications list an image area equal to a 4:3 ratio with 4000x3000 pixels, you can shoot at a 4:3 ratio at 12 megapixels. Or, the camera's specifications may list a 16:9 ratio at 8 megapixels. If you find you cannot match the size of photo you want with the ratio you want, the specifications may tell you such a combination is not possible with this camera. The battery listing in the specifications should tell you whether the camera requires proprietary rechargeable batteries or off-the-shelf disposable batteries. One other battery-related area of the specifications should give you a projected life for the battery. Keep in mind that this estimation of battery life probably is a best-case scenario, and, under real-world conditions, you probably won't quite have as much battery power. Generally, if you estimate you'll receive about 75%-90% of the projected life of the battery in the specifications, you'll be safe. If you're using the LCD to review photos or if you're using the flash a lot, stay on the low end of the estimation as those two actions use a lot of battery power. Keep in mind that the maximum battery life will only lessen over time, as rechargeable batteries slowly lose their ability to hold the maximum power as they age. The zoom lens is a key portion of the specifications, too. 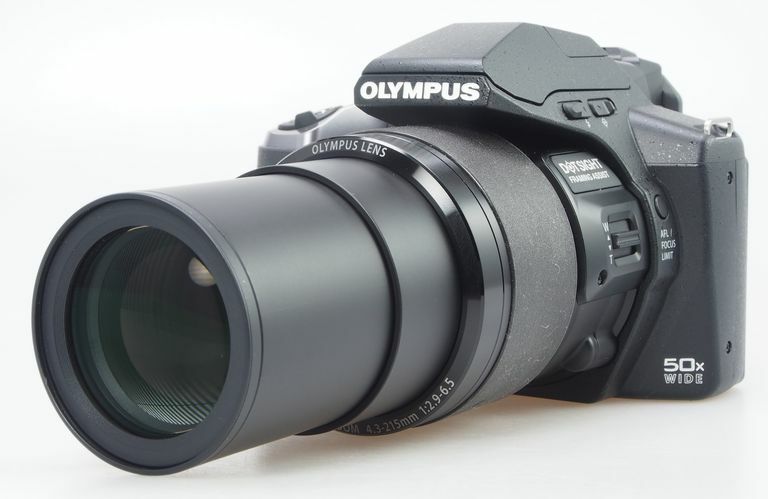 A camera with a 4X optical zoom lens can shoot at a zoom that’s four times the minimum lens setting. Keep in mind that digital zoom is essentially a magnification of the image that’s already been shot, so it will end up costing you some image quality. Pay attention to the optical zoom, rather than the digital zoom. The specification list should include the distance over which your built-in flash unit can work. There will be a minimum and maximum distance listed. As long as you stay inside the recommended range for your flash, it should work pretty well to illuminate the scene. If you're at the edges of the recommended range, the flash won't work quite as well as if you're in the middle of the range.